Can you take aim at the right answer in this game of fractions? Four targets appear on the screen, each marked with a fraction. 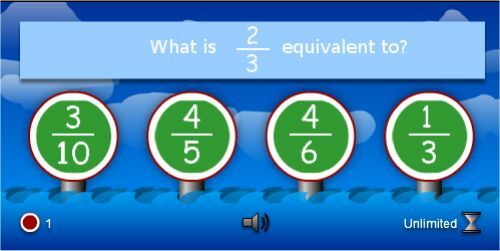 A question pops up asking you a questions such as what is 4/8 equivalent to? It’s up to you to pick out the right answer, target it with your mouse and shoot it. There are 20 questions to answer, and this is a fun way to understand equivalents – such as 1/3 being the same as 3/9. 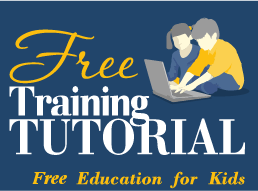 It’s a useful online activity for third to fifth graders, and involves good use of the mouse too. See if you can get all 20 questions right and get 20/20 (that’s also 1/1! ).